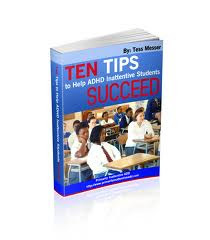 Successful individuals with ADHD established habits that facilitate their success. These habits are not difficult to master but do not come naturally to those of us with ADHD. It is essential for those of us living with ADHD to learn the habits that will enable our success so that we may realize our full potential. By adopting five simple life habits, adults with ADHD will become more productive, easier to live with and happier. Think of what needs to be done. Make a list of high priority, medium priority, and low priority goals. Make a mental note of what the highest priority goals are and periodically remind yourself of what your priorities were for the day. A routine makes it easier for those of us with ADHD to stay on time and to use our time wisely. Make it a daily habit to wake up early, visualize your goals and how they will be accomplished, make your bed, take 5 minutes and pick up the house clutter, have Breakfast, take your vitamins, write a to-do list. Focus your 'mind talk' on productivity. Those of us with ADHD need to harness our 'mind talk' so that it is focused on productivity. Am I on task? Did I get side tracked? What is my next task? How should I tackle it? Am I being efficient? Can I accomplish this faster by doing it differently? Good work on that small task! Am I remembering the big picture? Don't forget to set the timer. I need to write down that errand I just remembered. Those of us with ADHD need to build rewards into our day. Break your tasks down into smaller tasks and build rewards into your day for having accomplishing your small and large tasks. Reward yourself my sitting down to view personal emails after a small task. Have a yummy cookie and cappuccino after a accomplishing a large task. Tell a family member, spouse, friend, or coach what you aim to accomplish. Tell them ( or hopefully they know without being told) that you need encouragement and to be held accountable for what you have set out to accomplish. Keep this person posted on your set backs and accomplishments. Sometimes a loved one or friend can provide valuable guidance on becoming more efficient and effective in your daily life. Setting goals, establishing a daily routine, focusing our mind talk on productivity, rewarding ourselves for our accomplishments, and being accountable to love ones, are five habits that are easy enough to master and that are essential to the life success of those of us with ADHD. 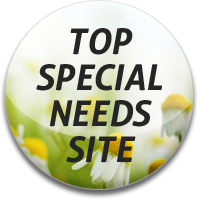 Thank you for your blog and all your posts, it is so informative and has helped me so much with understanding ADD all types. I wanted to ask you, in a previous post you mentioned that your 8 year old son was taking Vyvanse. Is he still taking it and how do you like it? I have a prescription to start tomorrow. My son is 7 and will be taking it only on school days if he will drink it dissolved in water. Thank you in advance for your reply. He is doing well on the Vyvanse. I have sent an email to you privately on all the specifics. Thanks for your kind comments!